Intestinal dysbiosis is a condition involving the growth of harmful organisms or overgrowth of normally harmless microorganisms in the digestive tract, explains the Irish Centre of Integrated Medicine, or ICIM. Some health care practitioners believe this is a common but often unrecognized reason for chronic health disorders. Eating large amounts of refined carbohydrates leads to overgrowth of organisms that are usually neutral, such as Candida albicans, while excessive intake of fat and meat combined with low fiber consumption increases the growth of unfriendly organisms. Not all practitioners agree on which foods to avoid, but some fundamentals are very similar. Decrease sugar consumption on the dysbiosis diet because sugar depresses immune function, and many harmful organisms thrive on sugar, explains the ICIM. Types of sugar include cane sugar, honey, maple syrup, molasses, treacle, corn syrup, dextrose, fructose, glucose, maltose, sorbitol and sucrose. Licensed acupuncturist Warren King also advises against consuming artificial sweeteners such as aspartame. The organization Secrenase, dedicated to therapies for autism spectrum disorder, promotes the specific carbohydrate diet to resolve dysbiosis. 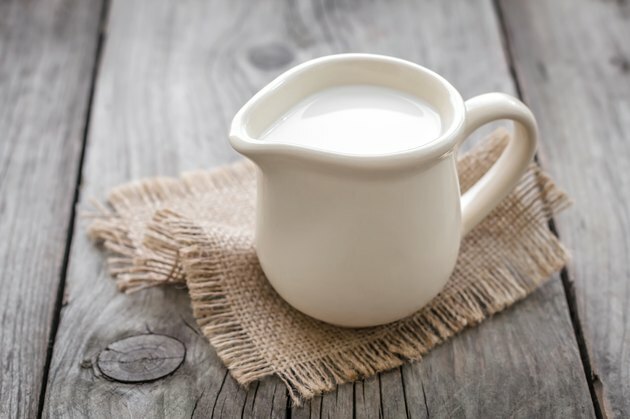 This diet prohibits all milk and milk substitutes, any cheese that contains lactose and all cheese spreads. Commercial yogurt also is not allowed. Warren King recommends avoiding all these foods along with whey, butter, sour cream and ice cream. You should not eat yeast, yeast-like substances, fungi or foods that are fermented or may have mold while on the dysbiosis diet, according to osteopath and naturopath Harald Gaier. These include mushrooms and other types of fungi, dried fruit, malted items, vinegar, and pickles and condiments that may contain vinegar. Fermented beverages are not allowed on the dysbiosis diet, according to Gaier. This includes all alcoholic beverages and nonalcoholic beer, cider and wine, as well as ginger ale and ginger beer. Eliminate grains from the diet, as they break down into sugar, and unfriendly organisms in the digestive tract can ferment these foods, explains the ICIM. These include any foods containing wheat, barley, buckwheat, corn, oats, rice, soy and flours made from grains. The dysbiosis diet restricts most fruit. Gaier recommends avoiding bananas, citrus fruits, grapes and fruit that grows on deciduous trees, such as apples, cherries, pears and plums. Fresh tropical fruits are generally allowed, as are berries—except for strawberries and cape gooseberries. Do not eat any fruit that is bruised or may be moldy. Secrenase recommends only drinking fruit juice that you make fresh with a juicer. Health care practitioners differ in their views about meat in a dysbiosis diet. Secrenase advises against eating processed meat such as sausage and bologna, King recommends avoiding pork and most fish, the ICIM says to minimize meat intake and Gaier allows eating meat. You may need to try eliminating meat at first and adding small amounts back into the diet to see how it affects your condition.